We take an in depth look at reflexology, how to works, what issues it can address and how you can do it yourself. Today reflexology is used by surgeons, physicians, podiatrists, dentists, nurses, midwives, physical therapists as a complimentary and alternative treatment option. Reflexology is preferred by many people because it is a relatively safe, easy to use natural treatment without the need for drugs, especially for pain. Reflexology involves application of pressure to certain specific points on the feet, hands, outer ear, wrist, and tongue. While it is normally used without the use of oil or lotions, you can use things like lavender oil, tiger balm or Vaseline to assist. Reflexology is safe for all ages, including children and seniors. Reflexology is not a medical treatment per se. Nor is it a foot massage. Rather it is a system of natural healing. While it does require extensive study, sound technique, practice and patience you can also do it yourself at the basic level with surprisingly good results. 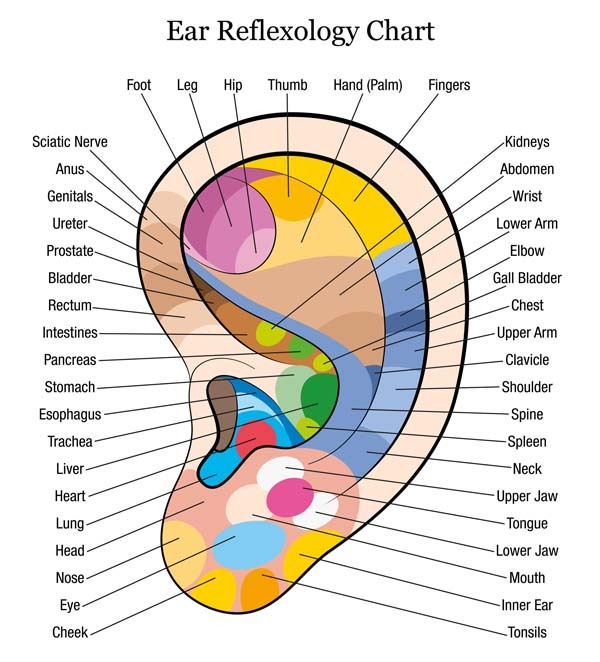 Both an art and a science that dates back to ancient Egypt and the Asia, reflexology considers the foot, hands, ears and tongue as having a mini map of the human body. Each organ, gland, muscle is represented and linked to a corresponding reflex point on your foot. By applying pressure to these points on your foot, hands, ears, wrist and tongue, reflexology can heal and sooth the corresponding part of the body. While reflexology can work on individual areas for things like shoulder pain, it is considered better to work on the whole body and put the entire body in balance. Acupressure involves applying pressure to 12 thin energy lines called meridians and acupoints that run the length of the body from hand, head to feet. They are classified as Yin. Yang and 5 other elements. It is believed that energy (ch’i) flows between these meridians and if one of these meridians are blocked it can cause an illness. The Meridians begins on your fingertips, then connect to you brain and then flow to meridians that control the organs. You can discover more about acupressure here. Reflexology in contrast to acupressure only applies pressure to hands, feet, tongue and ear to control, manipulate and heal all the major parts of the body including shoulder, arm and sciatic nerve. It does not apply pressure to other parts of the body directly. Only through the hands, feet, ear and to some extent the tongue. Does Reflexology hurt? It can hurt a little bit especially if you have major issues. Sometimes the pain is quite sharp. We like the pain especially when breaking the crystals. It is an incredible release. You feet has an 26 bones, 56 ligaments, more than 100 muscles, tendons and ligaments and apparently 7,000 nerves. That means there are many parts that are stimulated during reflexology. In some cases it can leave you a little exhausted but the effect is remarkable the next day. The sensation experienced during a reflexology session are felt where it is applied and not the corresponding organs, glands or other parts of the body. Some people can feel sore for up to 1-2 days after a session. This is because your body will take some time to expel the toxins released during a reflexology session. As with massage, drink water immediately after a reflexology sessions to wash away the released toxins. This is very important. Not to drink water is to waste a reflexology session. In fact you should keep drinking extra water for nearly 24 hours after a session. The more water, the more toxins that can be washed away. 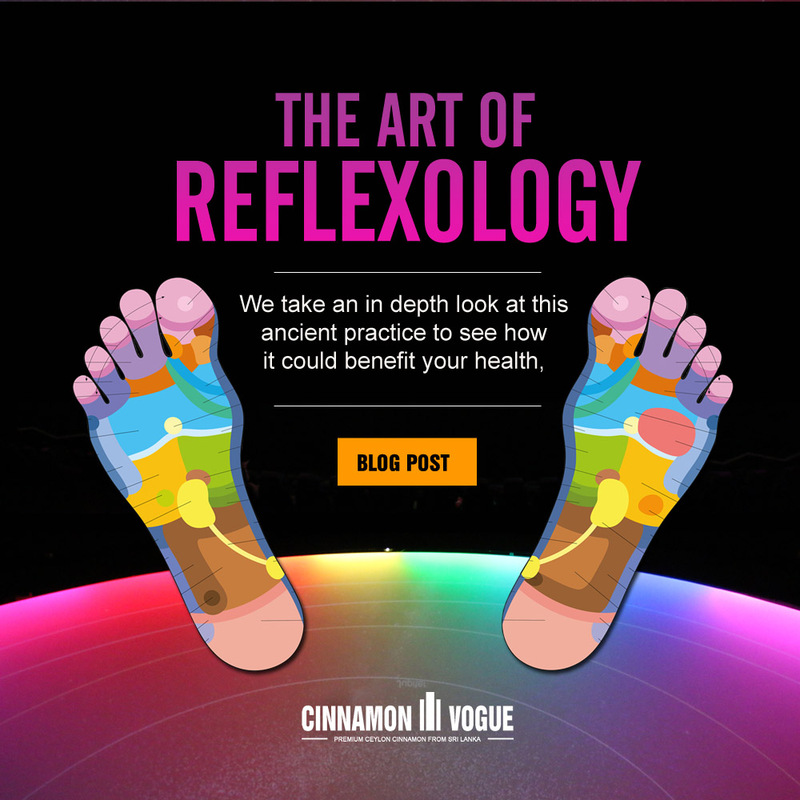 What is the evidence for reflexology? The evidence and studies for reflexology are sparse, because there is no money available for it. But there are a few studies like this study which found reflexology was effective in relieving anxiety, stress and depression in women with MS. It. We followed this YouTube video instructions on going to sleep and it worked wonderfully, albeit with the addition of some lavender oil too. This small study demonstrated significant reduction in observed pain of nursing home residents with dementia. What ailments can reflexology help? Reflexology helps the body to self-regulate and balance itself. It has a unique capacity to relieve stress and pain. There have been reports of improvement in sleep, migraines, constipation, colds/flu, back and neck pain, digestive issues, chemical dependency, weight management, enhanced energy, better productivity and creativity. Plantar – Underside foot (sole). Medial – Inner side foot between the big toe and the heel. Lateral – Outside side foot between the little toe and heel. According to reflexology, there are five transverse lines on the sole (plantar) of the foot. Shoulder Line – Located below the bases of the toes. Head, occipital bone, pituitary, inner and outer ear, teeth, jaw, sinus, eye, Eustachian tube, throat and shoulder reflex points, which are the points above shoulder line. Diaphragm Line - Located below the metatarsal base, the skin is darker around the metatarsals. Lungs, thyroid, esophagus, hiatus hernia, pancreas and gallbladder reflexes are present between shoulder and diaphragm line. Waist Line – The narrowest foot spot similar to a waist. This area covers the Kidney, adrenal glands, stomach, liver, spleen, transverse colon, hepatic and splenic flexure reflexes and part of the small intestines, present between diaphragm and waistline. Pelvic Line - Located between anklebones and heel base on either side of the foot. This covers ascending and descending colon, part of the small intestines and bladder, present between waist and pelvic line. Ligament Line – Runs downward from the junction between big and first toes. If you find (sugar/sand like grains (crystals) on the reflexes, it indicates uric acid or calcium deposits in the corresponding part of the body. It means the body is out of balance and must be treated. This done by applying gentle pressure to break, dissolve and expel crystals from the body. Sometimes it is impossible to break these deposits in one session. If there is too much pain you have to lower the applied pressure. Crystal deposits in the nerve endings on the foot indicates congestion. If you have crystals on the Diaphragm line it could indicate a weak lung and poor blood circulation resulting in lack of fresh blood, oxygen, and nutrients delivery to the body. While reflexology will not cure a serious lung issue, it maybe a way to diagnose an impending issue. Of course it is also possible that your lung function suffered a temporary situation in which case breaking the crystals will help restore you back to normal health. But if you a chronic smoker, then no amount of reflexology will help you in the long term. Relax the feet by pressing and squeezing, lightly slapping it or gently kneading your feet. Then press and hold your thumb on the Solar Plexus (see diagram above) point of each foot for 5-10 seconds. There is no hard and fast rule on how many times you can do this. We usually do this about 5 minutes for each foot. So very soothing. Slowly walk your thumb up from the base of the heel to each toe (like a caterpillar walk) and then press these reflex points with your thumb. We think a dab of lavender balm on the reflex points, on the forehead, under the nose and chest really helps the process. Back, Shoulder and Pain – Because many people spend hours on a computer during work or a long commute, pain in these areas can be a major problem, so do some Thumb Walking on inside edge of hand and foot – Here is a video showing the hand technique. And here is the video for the foot. Sinus Congestion – Thumb walking starting with the big toe. Watch this video on how to do it. Menstrual Cramps – Thumb walking top of foot on Ankle inner heal – Watch this video on how to do it. Digestive Issues – Thumb walk on the center of the arch. Here is a video on how to do it. Hold right foot with the left-hand. Place right thumb below the second toe base. Using the right thumb, walk on the area under the toes, from the second to the fifth toe. Place right thumb straight below the fourth toe until before diaphragm line. Press the thumb & rotate at this point. Next, place the right index finger on the dorsal (top) aspect corresponding to the thumb. Apply pressure with the index finger. Using two thumbs together, pull apart with a gentle pressure to reach the kidney and adrenal reflexes. Do it for 10 seconds. 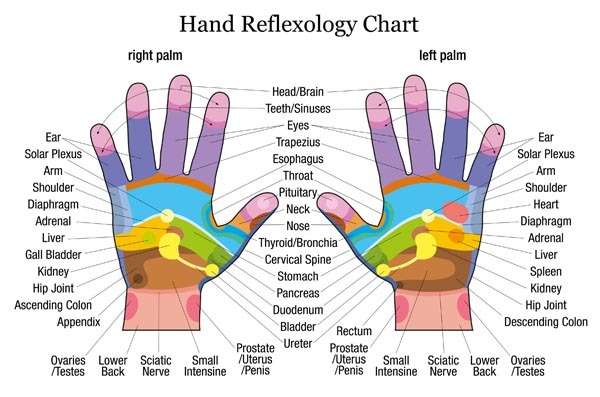 Hand reflexology is similar to foot reflexology but the locations of the corresponding body parts are slightly different. In our opinion it is not as effective as the foot, except for the arm, spine and shoulder which corresponds to the outer edge of your hands and which was surprisingly soothing and effective. Great if you tend to work on a computer all day long. Here is a video showing hand reflexology. Amazingly the ear too has a mini map of your whole body. It is apparently good to control pain associated with Headaches, sinuses,spinal reflexes, arms and feet as this video explains. This one was pretty tough to find information on, not mention rather invasive and messy if one could in fact do tongue reflexology. 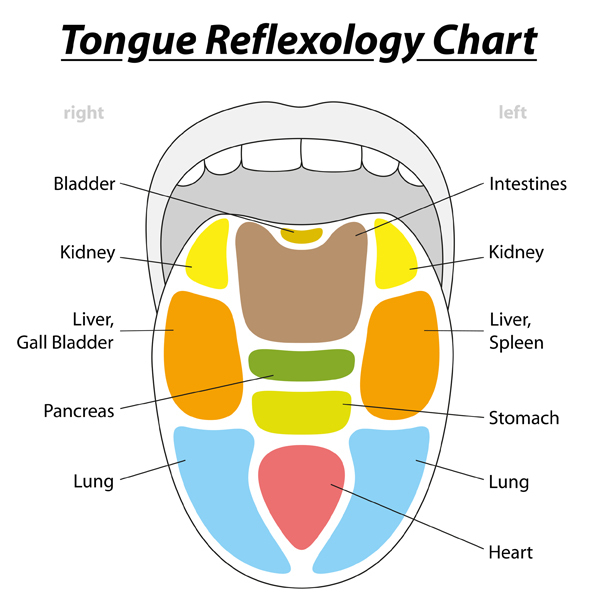 Reflexology on the tongue is mostly used as a diagnostic tool to indicate underlying conditions. Since the tongue apparently also contains a map of your body, any pain associated with certain parts of the tongue may indicate an underlying medical issue. Even in western medicine the tongue is frequently used as a diagnostic tool. In Chinese culture the tongue plays a important role in diagnosis. You can learn a little about the tongue in this article which is somewhat useful. As with every thing, reflexology can have some adverse effects. Here is what to watch out for. Avoid during Pregnancy but only for the first trimester period - Practitioners have been accused of causing a miscarriage after the therapy. Maybe it is best to avoid it during pregnancy just to be safe. Diarrhea and vomiting - Reflexology can cause over stimulation of the body systems and may make the conditions worse in some cases. Skin disease of the hand, feet, and ears - If there are infections on this area, reflexology can hurt and make conditions worse. Localized inflammation or swelling of the feet, hand, and ears – This can happen when the practitioner’s hand or finger motion is too hard or too long. Fever and any infectious diseases both systemic or localized – Sometimes the body systems which are already under stress can be over stimulated resulting in a worsening situation. 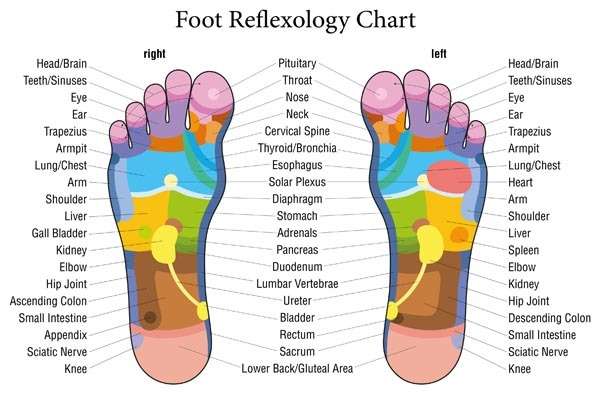 People with the following conditions should not do reflexology - Deep vein thrombosis, Thromboplebitis, Severe cellulite on the feet or legs, those with acute infection and high temperature, those who have suffered a stroke, Insulin taking diabetics, Cancer, especially lymphom, Epileps, those taking, anti-coagulating drugs (warfarin and heparin, people taking high dosage drugs or a variety of drugs, Up to six months after heart surgery, Hypersensitive people and those with contagious diseases like plantar warts, tinea, AIDS, Hep B or C.
Hand Tools – If you are practicing reflexology on your own, it might be an idea to get a set of reflexology tools like this from Amazon. While it is no substitute for the feedback from your fingers, it can relives stress on your own fingers if you bare in fact doing it yourself. It works well for certain points. We got ours at a Chinese shop in Taiwan. Many Chinese general stores carry these products. Books – The best way to discover and practice reflexology is to buy a book like this from Amazon. They even have books for reflexology for pets like this one. Lotions and Essential Oils – While generally speaking you do not use lotions and essential oil during reflexology because the fingers will tend to slip, you can use essential oils and lotions. We like Lavender balm which is very soothing. 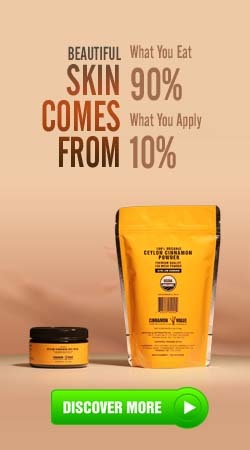 Because the skin on your feet are less sensitive and allows it to be absorbed into the body with less chance of a reaction, this is a great place to try Ceylon Cinnamon Bark Oil (better aroma) or Ceylon Cinnamon Leaf Oil (runs hotter with a less pleasant aroma) which can irritate the skin (always dilute Cinnamon Oil with a carrier oil) ) but has powerful warming properties (great for people with cold feet) and other benefits like improving blood circulation on your feet. In many ways reflexology is a diagnostic tool we feel. It can ascertain any health issues you may have. Minor health issues like pain can be dramatically reduced while serious health issues may require a lifestyle change, an operation or medication. Certainly professional medical advice. 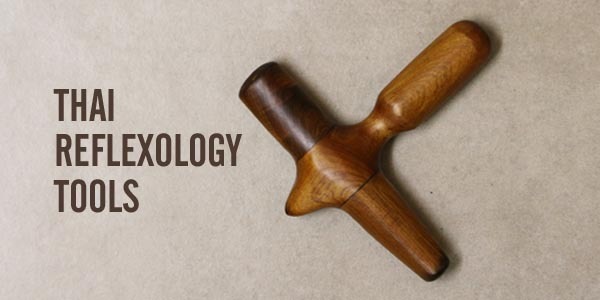 Think of reflexology as a complimentary tool that adds to a healthy diet and exercise routine. It is definitely a fun thing to do while you get some alone time to relax and reflect. For us personally reflexology is very soothing especially after a hard day at work. You should get into the habit of it and combine with it some massage therapy. Life is too short. Enjoy it. This entry was posted in Health & Fitness and tagged arm pain, Complementary and alternative medicine, Foot massage reflexology, Pain management, reflexology, shoulder pain, Zone therapy by . Bookmark the permalink.